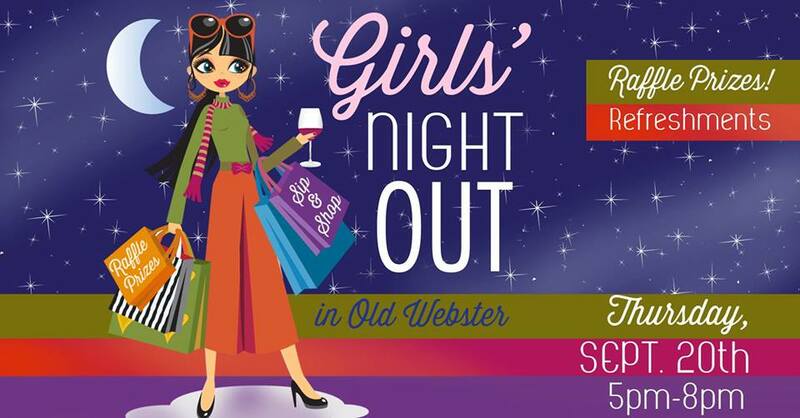 Grab the Girls for a Night on the Town throughout Old Webster!!! Light Appetizers and Cocktails will be served at most participating businesses. Stay tuned, more participating businesses may be added. Stop by any of the participating businesses the night of the event to pick up a passport and map. As you visit the businesses, be sure to have your passport stamped. Each stamp is a chance to win a gift basket filled with Webster Groves goodies! You don’t have to visit all locations to enter. Each stamp equals one entry into the drawing. You DON’T have to have a totally stamped passport to be entered into the drawing.